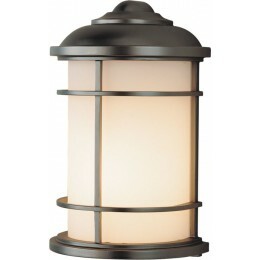 The Feiss Lighthouse one light outdoor wall fixture in brushed steel enhances the beauty of your property, makes your home safer and more secure, and increases the number of pleasurable hours you spend outdoors. 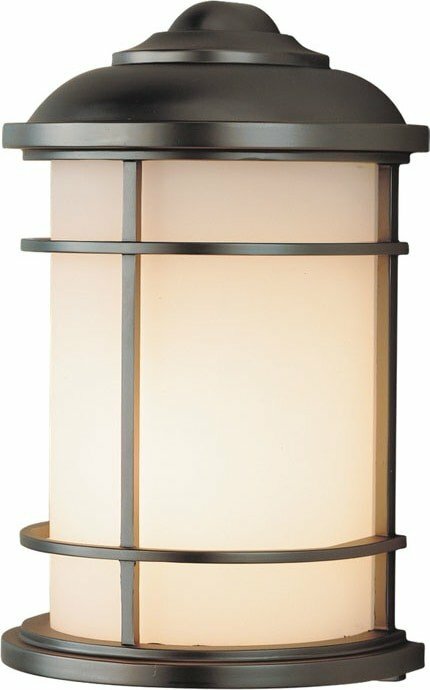 The Murray Feiss OL2203BS Lighthouse collection Outdoor Wall Lighting in Brushed Steel uses Incandescent light output and brings Modern style. 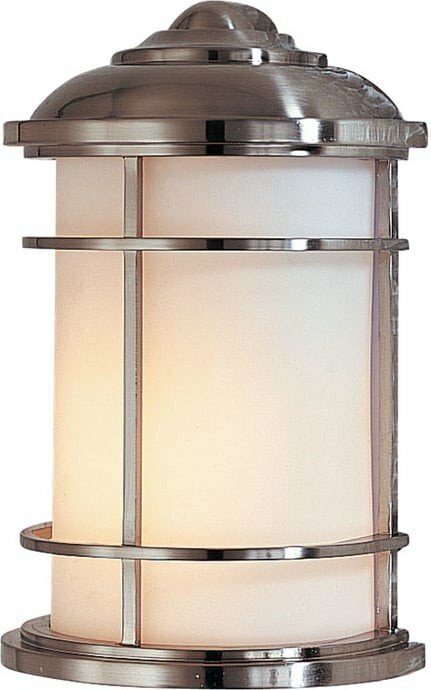 This item is 11"H x 7"W x 4.5"D. The total wattage is 60 and the voltage is 120 volts. The Murray Feiss OL2203BS requires 1 bulb. 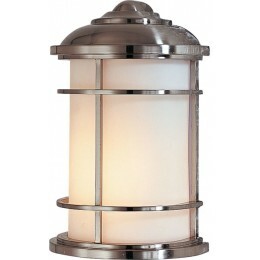 Additional Information: Shade-Opal Etched Glass.